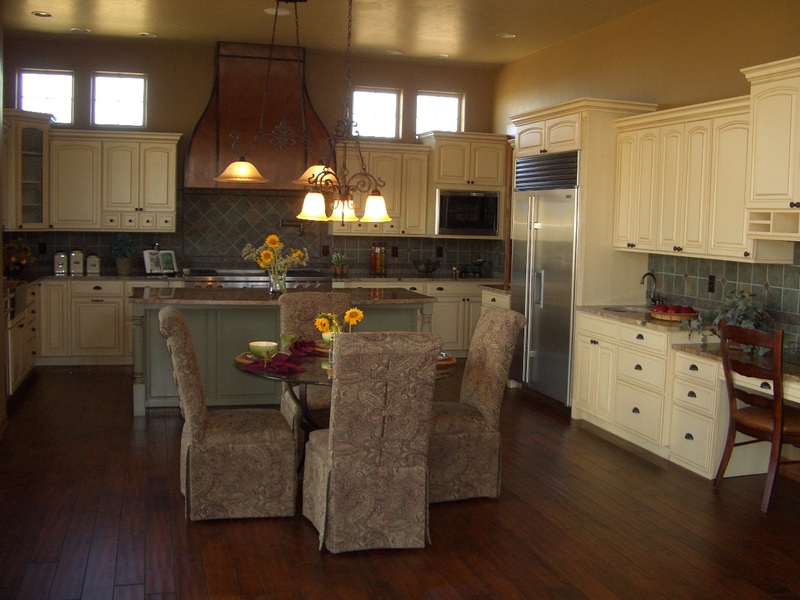 Tim Kulin Cabinetry | Affordable custom cabinets for every room in your home or business. Serving Teller County and the Front Range since 2001. 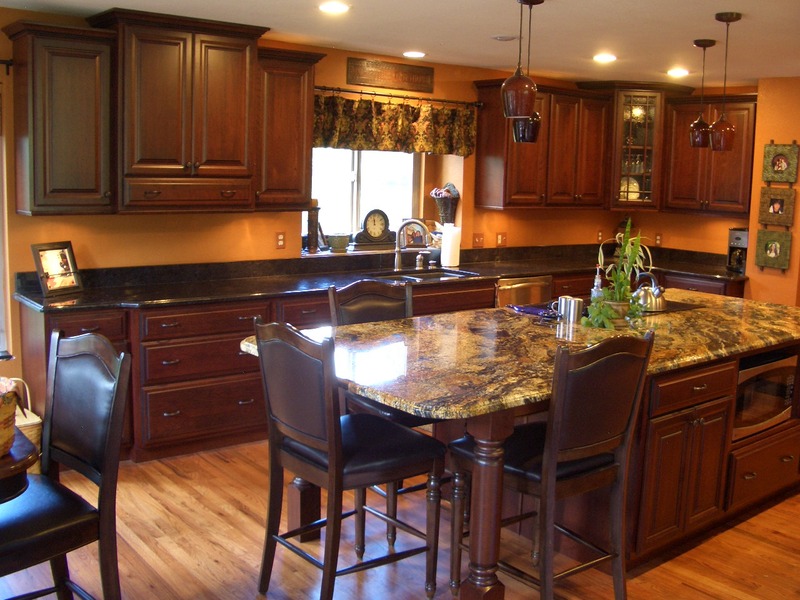 Tim Kulin Cabinetry builds custom cabinets for kitchens, baths, home theaters, bars, and every other room in your home where beautiful built-in cabinets are needed. Of special interest to most prospective buyers is the fact that TKC is an extremely affordable option. Our prices are generally similar to or even lower than your local home center or "Big Box" retailer. At TKC, there is no such thing as a stock cabinet. Due to our manufacturing methods, we are able to build each cabinet to the exact size required. No longer are you tied to 3" size increments, unsightly filler strips, or compromised designs. We build precisely what works best and what looks best, and we do it with no penalty in cost. Because we are local and our cabinets are built in-house and not in some far away factory, we are able to respond to last minute changes or problems in the field extremely quickly. Many times, problems or changes are accommodated in days, not weeks or months. 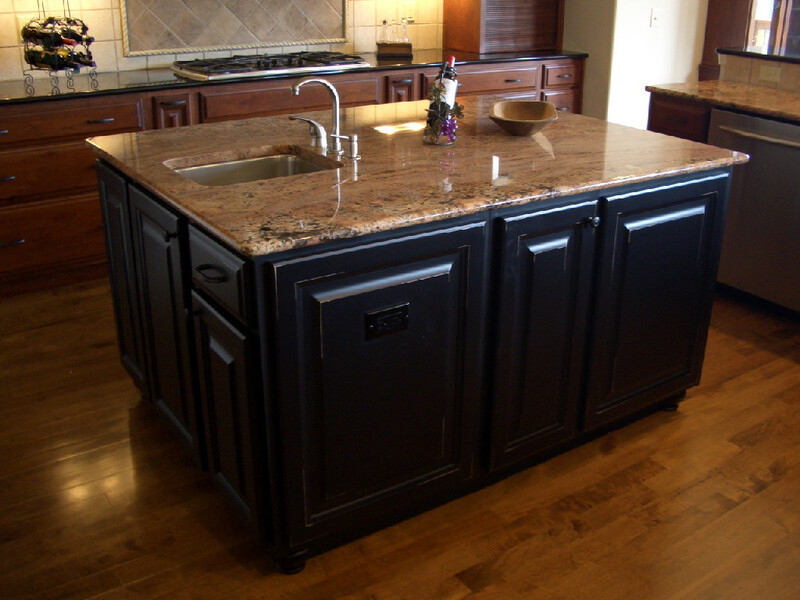 Mountain Aspen Granite is a full-service fabricator and installer of stone (granite and quartz) for residential and commercial projects. Our recent acquisition of new machinery means we can be extremely price competitive while keeping the quality up at our high standards. Our fabricators and installers have about a zillion years of combined experience. They're GOOD. Really good. We work hard to achieve perfection on every job, and we're not satisfied until you are thrilled. Our guys are also fast. Expect your small to medium kitchen installation to be complete in a day. 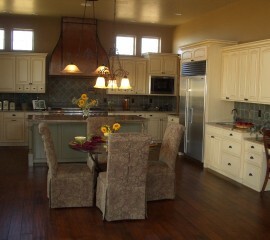 A medium to large kitchen might take two days, and it's rare for any kitchen, no matter how huge, to take three days. We'll be polite while we're there, and we'll clean up after ourselves. Our company specializes in personalized and professional service to our clients. We are committed to exceptional service and quality while keeping our products affordable. We offer a wide range of products related to stone fabrication – from kitchen countertops and bathroom vanity tops to tub and fireplace surrounds, and even outdoor fire tables – our products are always fabricated with the utmost precision and quality. We are located in Woodland Park at 213 Aspen Garden Way #4, right off Hwy 24, with service to Teller, El Paso, and surrounding counties. 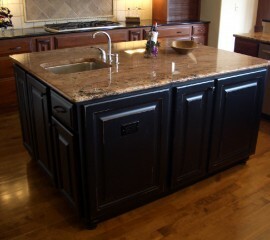 Our specialty is replacing tired old Formica countertops with gorgeous new stone. 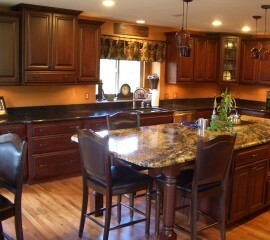 We'll help you pick a stone that complements your existing cabinetry and also goes with any changes you might be making.